For telecoms and any company dependent on internet interaction, service performance is the most important criteria for delivering on business objectives and improving the customer experience. Providing a service while remaining dependent on silos of disconnected data across software, hardware and network is no longer an option. 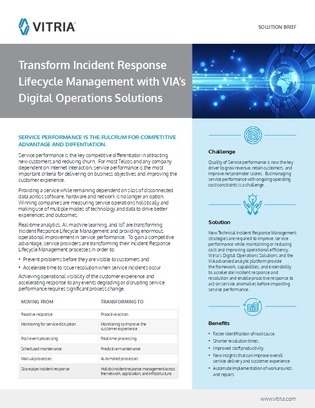 Real-time analytics, AI, machine learning, and IoT are transforming Incident Response Lifecycle Management and providing enormous operational improvements in service performance.